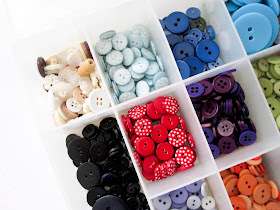 Everyday Celebrations: Sewing Space: Show me the Buttons! Sewing Space: Show me the Buttons! Do any of you have oodles of buttons? Or am I the only one? I love buttons. 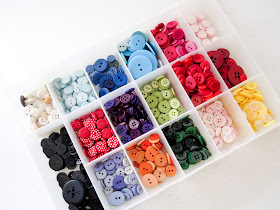 When I first started sewing Joann's had a bunch of buttons on clearance for 20 cents a tin. I kinda went crazy and bought a bunch. Of course I didn't have a plan in mind, but you never know when you'll need a button...right? I love having my buttons organized like this. When I open up the caddy, I just love looking at the colors together. What great inspiration! The large aqua ones are among one of my favorites. 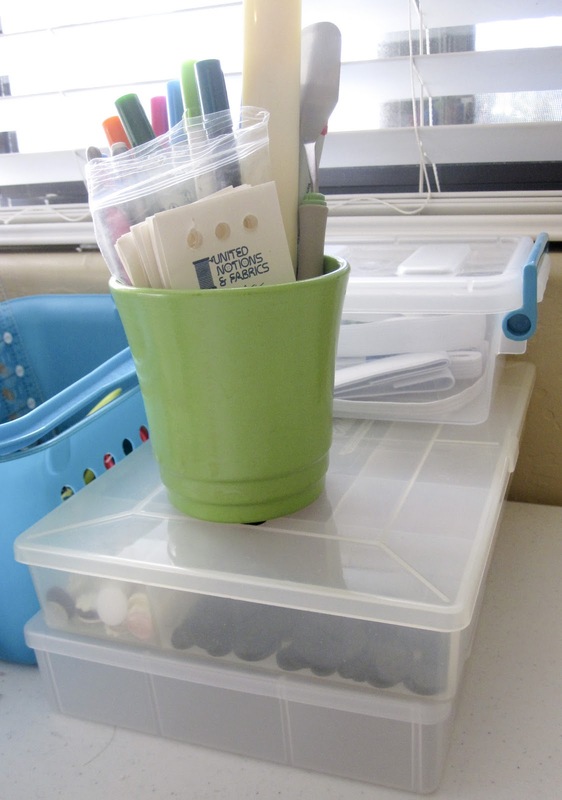 When I am all done, I just place the caddy towards the back of my sewing table...out of the reach of little hands. :) I currently don't have any shelving for my sewing stuff so my sewing table is currently home to most things like this. The empty caddy on the bottom is for my floss. I just have to wind all the floss on the bobbins...movie night anyone? So there you go! Any other tips for organizing out there? 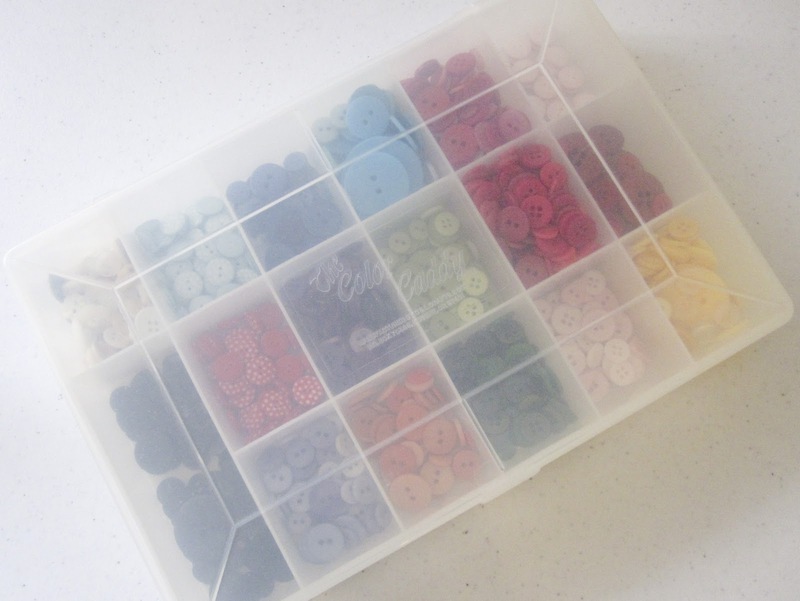 I have a million buttons all thrown into a big tupperware box. I am totally going to get one of those organizers and color coordinate them. How cute and pretty! 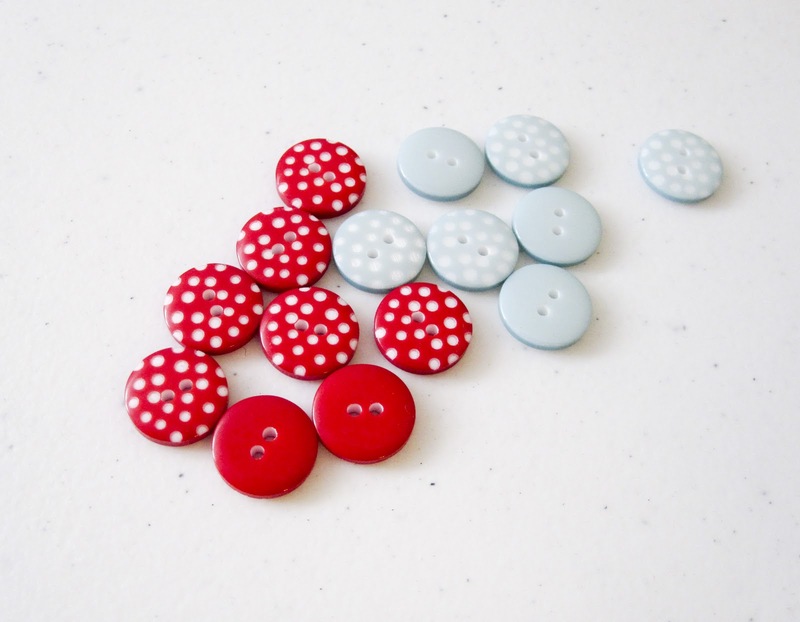 No surprise that you got red polka dot buttons! :) They are so cute and very you! I love your red polkadot buttons, they're so unique! I'm crazy about novelty buttons, I put them all on a plastic container box. 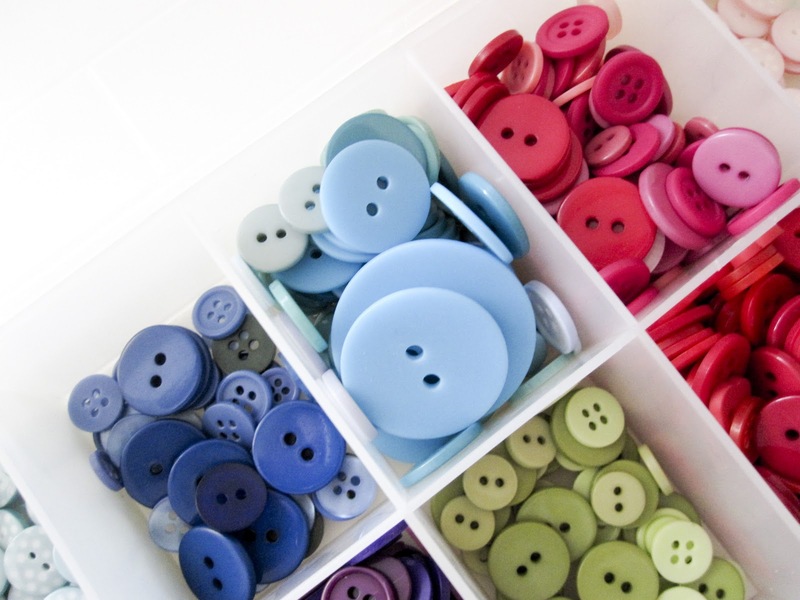 I Love buttons too!! I have them in many colors in vintage mason jars!! I love buttons too and have 1000's of them! I have most of them sorted in different colourway in glass jars - the rest are still in plastic bags waiting to be sorted!